... he was 57 when he passed away from lung cancer. He was also treated for a brain tumor. 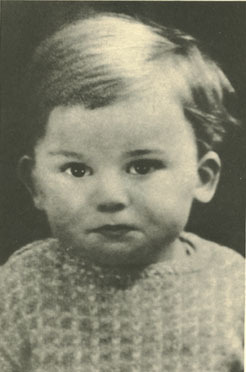 George, like John Lennon and Paul McCartney, was born in Liverpool, UK. After his career as the Beatles' lead guitarist, he has continued success in his solo career. 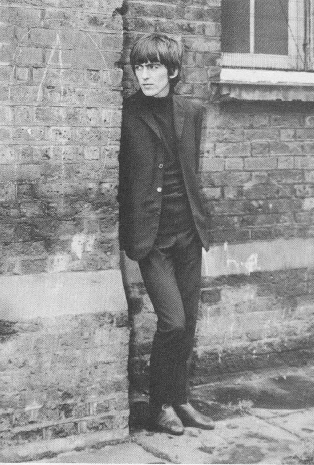 Back to his Beatles days: Harrison left school at 16 and worked as an apprentice electrician at local department store Blacklers. 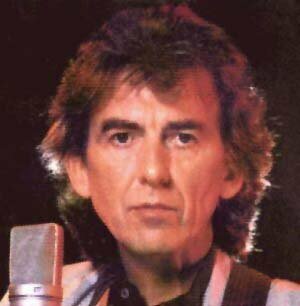 John Lennon did not want George in the group initially he said because he was too young, but McCartney was insistent, and Lennon finally relented. 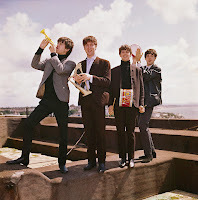 In 1960, when The Beatles were offered a gig in Hamburg, the musical apprenticeship that Harrison received, including guitar lessons from Tony Sheridan, laid the foundations of The Beatles' sound, and of Harrison's quiet, professional role within the group. The first trip to Hamburg was shortened when Harrison was deported for being underage. After seeing them perform at The Cavern Club in November 1961, record store owner Brian Epstein became The Beatles' manager. One of the first things he did was change their image from leather-jacketed rock-and-rollers to a more polished look, and secured them a recording contract with EMI. 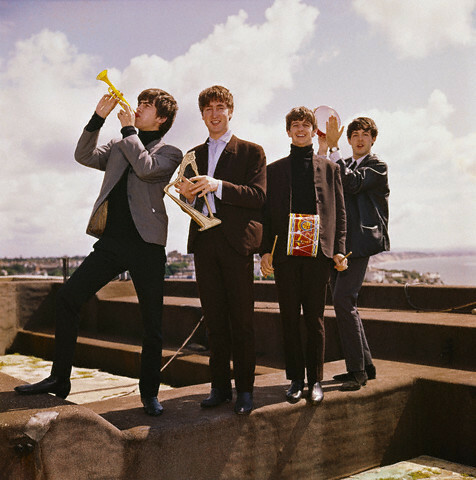 Their first single, "Love Me Do," with Harrison playing a Gibson J-160E, reached number 17 in the UK chart in October 1962, and by the time their debut album, Please Please Me, was released in early 1963, The Beatles had become famous. George contributed to the songwriting of John Lennon and Paul McCartney, firstly by adding ideas and guitar parts, and later with his distinctive style of music inspired by Eastern spirituality. 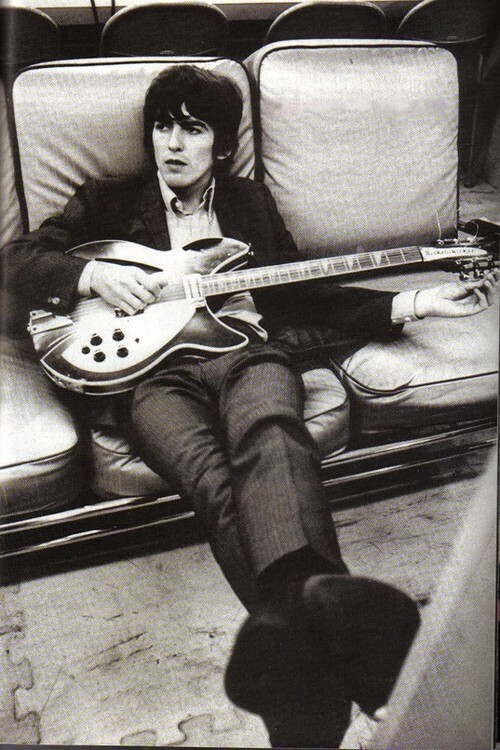 His later compositions with The Beatles include "Here Comes the Sun,""Something" and "While My Guitar Gently Weeps." 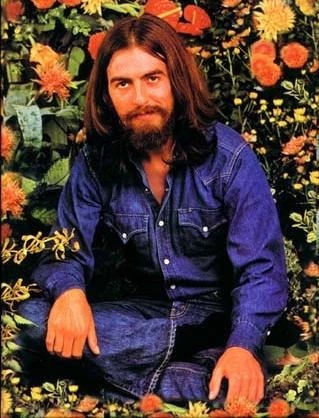 After the Beatles stopped touring George started writing more songs than could be fitted onto the albums so by the time of the split he had built up a collection songs, some used on his triple album, All Things Must Pass. 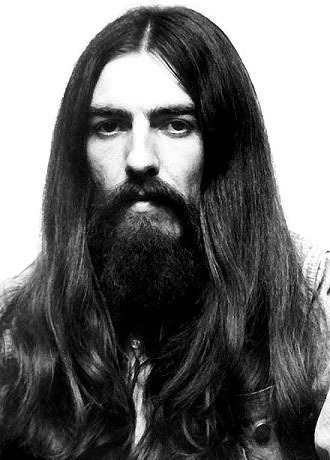 The album, released in 1970, contains the two-time number one hit, "My Sweet Lord." 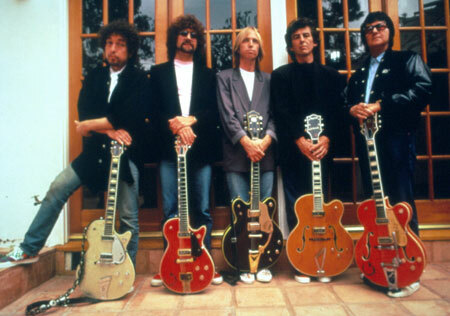 Harrison went on to release several successful solo albums, and in the late 1980s collaborated with Bob Dylan, Jeff Lynne, Roy Orbison, and Tom Petty, in a group called Traveling Wilburys. The group released two albums. 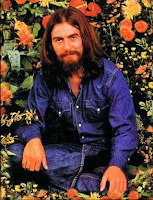 Harrison is also credited for creating music benefits, notably the 1971 Concert for Bangladesh. Harrison played beside Bob Dylan, Eric Clapton, Billy Preston, Ringo Starr, and Leon Russell to a crowd of 40,000 in Madison Square Garden, New York. Harrison is listed at number 21 in Rolling Stone magazine's list of "100 Greatest Guitarists of All Time. "His last album, Brainwashed, was released posthumously and featured the single "Any Road." 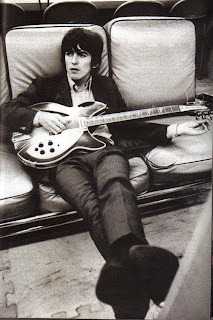 Harrison was inducted into the Rock and Roll Hall of Fame as a solo artist on 15 March 2004 by his Traveling Wilburys friends Lynne and Petty. He was inducted into the Madison Square Garden Walk of Fame on 1 August 2006 for the "Concert for Bangladesh." .. he was 84 years old. 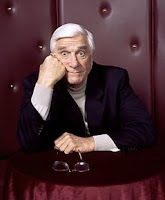 OK; Leslie William Nielsen, wasn't a singer, although he did manage to sing in a few of his comedic spoofs. Leslie WAS a Canadian-American actor and comedian. He appeared in over 100 films and 1,500 television programs over the span of his career, portraying over 220 characters. Although his acting career crosses a variety of genres in both television and films, Nielsen achieved his greatest successes in the comedy films Airplane! 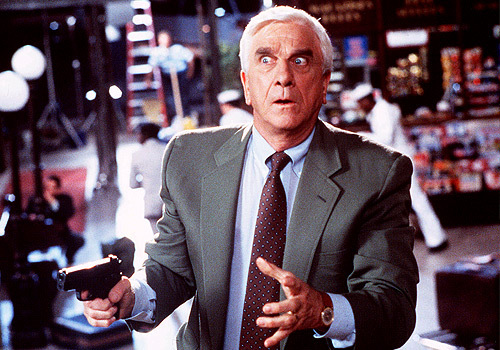 and The Naked Gun. Nielsen's comedic breakthrough came with a supporting role in 1980's Airplane!, a parody of Zero Hour!, Airport, and other movies that dealt with air travel. In Airplane! his deadpan delivery contrasted with the continual absurdity surrounding him. Nielsen's lead roles in the films Forbidden Planet and The Poseidon Adventure came long before he considered a turn to comedy. His deadpan delivery as a doctor in 1980's Airplane! marked a turning point in Nielsen's career, one that would make him, in the words of film critic Roger Ebert, "the Olivier of spoofs." Nielsen stayed active into his 80s. He performed serious roles on screen and stage such as his one-man theatre show Darrow, as well as providing voice-overs and on-camera appearances for commercials and cartoons. Beginning in February 2007, Nielsen began playing a small role as a doctor in the humorous yet educational television show Doctor*Ology. The show chronicles real-life medical techniques and technology, and airs on the Discovery Channel. ... he was 65 when he died after a six-year struggle with multiple myeloma. Tony "Panama" Silvester was born in Panama and later move to Harlem New York. 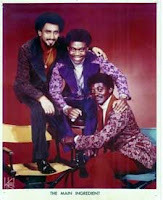 He was a co-founder of a trio called the Poets in 1964, with singers Donald McPherson and Luther Simmons Jr., but they soon changed their name to the Insiders after signing with RCA. Eventually Cuba Gooding Sr. from Barbados and father of the actor Cuba Gooding Jr., took his place. "Everybody Plays the Fool," become the group's biggest hit. 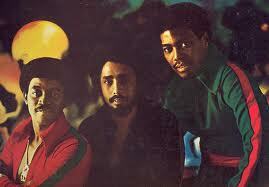 After a few solo releases Tony, Gooding and Simmons reunited as the Main Ingredient in 1979, and recorded two more albums, 1980's Ready for Love and 1981's I Only Have Eyes for You. The trio reunited for a second time in 1986, recording "Do Me Right." Simmons was replaced by Jerome Jackson on the 1989 Polydor album I Just Wanna Love You. 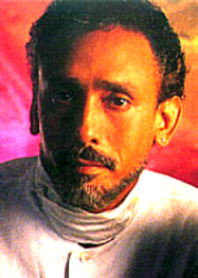 In the wake of Aaron Neville's Top Ten revival of "Everybody Plays the Fool," Gooding resumed his solo career and issued his third album in 1993. Tony and Simmons re-formed the Main Ingredient in 1999 with new lead singer Carlton Blount; this line-up recorded Pure Magic in 2001. After a couple of singles, they changed their name once again in 1966, to the Main Ingredient, taking the name from a Coke bottle. Their hits included "You've Been My Inspiration," "I'm So Proud," "Spinning Around (I Must Be Falling in Love)" and "Black Seeds Keep on Growing," but in 1971, founding member Donald McPherson, was suddenly taken ill and died unexpectedly of leukemia.